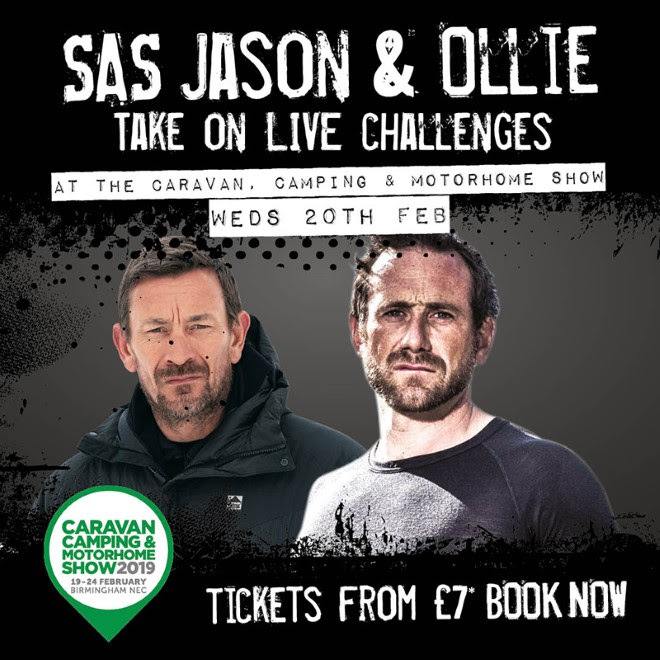 Ollie Ollerton and Jason Fox will be at the February 2019 Caravan, Camping and Motorhome Show to take on live challenges. To see them, visit the Freedom to go Theatre next Wednesday'20th Feb.
You can book tickets and find out more about all the other speakers who will be at the show, visit www.ccmshow.co.uk, you can book tickets here. We're going to be at the show! We will be available to discuss all aspects of the Motorhome industry with you and to show you around the fantastic 2019 range of new Chausson Motorhomes. You will be able to find us on the Chausson Motorhome Stand No: 3055 which is located in Hall 3. Shane looks forward to welcoming you! Alternativley if you aren't visiting the show, you can visit our showroom here in Herne bay, Kent.